My mother died at 91, during the night of Labor Day, apparently in her sleep. She looked peaceful, and so beautiful, say the people who saw her body. I was 3,000 miles away. Mom had Alzheimer’s for 15 years before she died, needing increasing care, losing quality of life drop by drop until there was nothing left. Before we moved, I asked my stepsisters’ permission to leave, since they were the ones caring for Mom and my 102-year-old stepfather Bill as well. But I knew they wouldn’t say no. They had been coping with everything beautifully, with only the very occasional request for help, such as our last Christmas on the East Coast which we spent with Mom and Bill. Which in retrospect means I got to be with Mom for her second-to-last Christmas on earth. My history with Mom was complicated and wonderful because she herself was complicated and wonderful. Born in a village in the Philippines, she ran away from home at 13–by stowing away on a boat!–to escape the marriage her mother had arranged for her. She sang to the troops during the war, and afterward became an actress, starring in more than 20 Philippine movies. She kept acting, and working in theater, after moving here. She met my father while he was vacationing in pre-Castro Havana and she was performing at the Tropicana. He was a psychiatrist, in every way her opposite, which may have been why they fell in love. It was a marriage that could never work in the long run. When I was small she doted on me completely, lavishing me with the over-the-top affection she brought to everyone and everything she loved. When I was 11, she left my father, which is where things first began to get complicated. She was right to go. He was a good man, and a talented psychiatrist, but not able to be entirely present in their marriage or any relationship. I would live with her of course. No one ever considered any other possibility. With hindsight I can now see that Mom was living on her own for the first time in many years. My 22-year-old half-sister, who had just relocated from the Philippines, lived with us for a while, but after she moved on, I was the only other person in the household. She must have yearned for me to fill some of that void. Whereas I, as an adolescent, was in that stage of life where you separate emotionally from your birth family in order to become part of a larger world. It was a case of spectacularly bad timing. We recovered, because we both grew up. 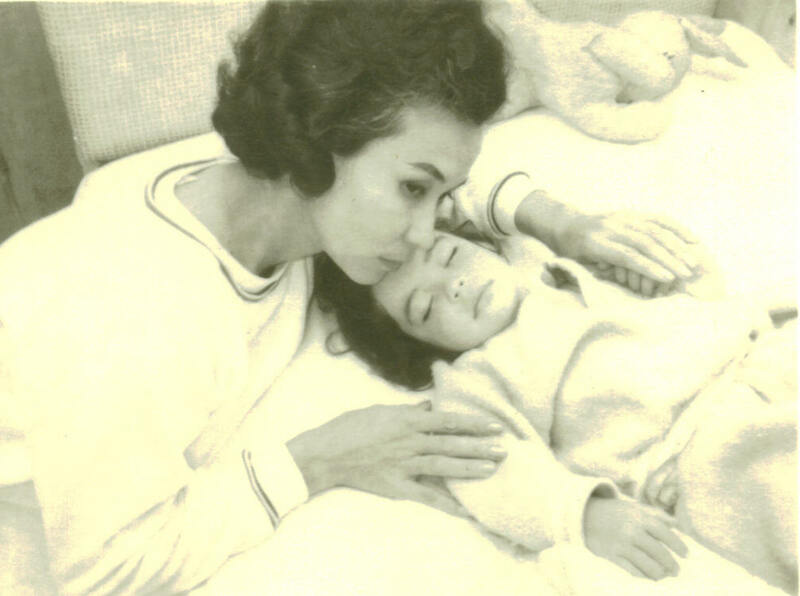 After I went away to college, I found myself rediscovering my mother on my trips home. She had found her footing as a single woman and she talked to me like I was another grownup which I suppose I was. When I graduated, she advised me on my job hunt and tried to get me a job at Time, Inc. When I found work in publishing, she celebrated my successes. She gave me a Philodendron 30 years ago to celebrate my first business trip. I regretfully left that plant, which had grown huge, back in Woodstock, but a descendent is sprawling across the bookshelf in my office here. Because of this history, I now tell people struggling with difficult teenagers to hang on, that better days are ahead. For me and Mom, the good and bad days are all behind us. And yet, it doesn’t really feel like she’s gone. Maybe because, I’ve been listening to her voice in my head for all these years, and it’s still there. Goodbye, Mom. This world had never seen anything like you, and it never will again. I’m so lucky that you’re part of me. Fine article! Your mom totally ruled. I’ll never forget how helpful she was when I moved to NYC, and how much fun she was. Any time spent with her was a treat.